Leather and lace, fringe and fetish … in this series, we’ll take a peek at the kinkier side of the zodiac. Each sign has its own distinct sexual flavor; by combining the various tastes you find in the natal chart, each person’s unique sexual recipe begins to emerge. Let’s take a look at Virgo, one of the kinkiest signs around. The symbol for Virgo is the Virgin, and it helps to keep in mind when dealing with this highly paradoxical sign. No matter how many times they’ve been around the block, Virgos always seem as fussy and particular as a first-timer. Don’t be fooled — this is only one half of this dual sign. Make no mistake: Virgo is dual, just like Gemini or Pisces, but Virgo often hides its duality, even from itself. As an earth sign, they are less comfortable with the changeability of their mutable natures and often seek to suppress it. Part of Virgo wants to remain pristine and proper, while the other part wants to get down and dirty. Virgo enacts the tense “virgin/whore” polarity in almost all aspects of life, and this can result in some intriguing bedroom quirks, to say the least. 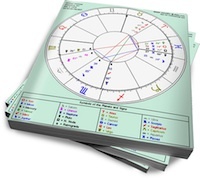 Foremost, Virgo is Mercury-ruled, and can build elaborate mental fences around their most taboo desires. They tend to create exacting-but-arbitrary conditions under which specific desires can be satisfied (as in “only if her name starts with P,” or “only on a Tuesday during tax season.”) If a Virgin violates her own rules, she feels unpleasantly grubby. If her conditions are met, she feels just dirty enough — she maintains her “virgin” status but has given the “whore” her due. Related post: Will a Virgo female get dirty in bed?